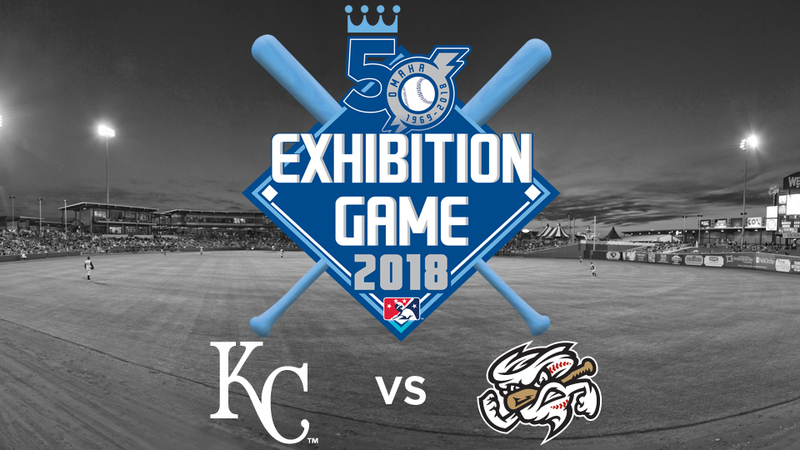 The Omaha Storm Chasers have announced five bobblehead giveaways for the 2018 season, the 50th Season in Franchise History. 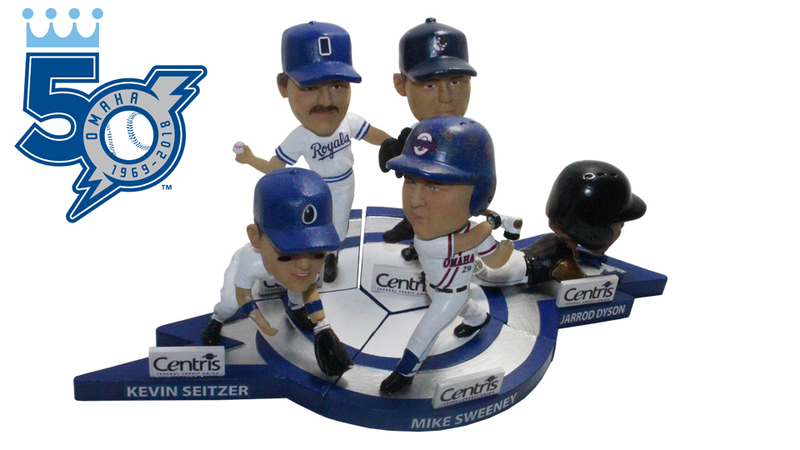 The bobblehead series, presented by Centris Federal Credit Union, will celebrate one of the organization’s five decades and will include three Royals Hall of Fame inductees. Fans will want to collect all five historical bobbleheads in this year’s series for the unique shape formed when the complete set is set together. The bobbleheads have been specially designed to form the Storm Chasers’ “O-Bolt” from the franchise’s 50th Season Logo. 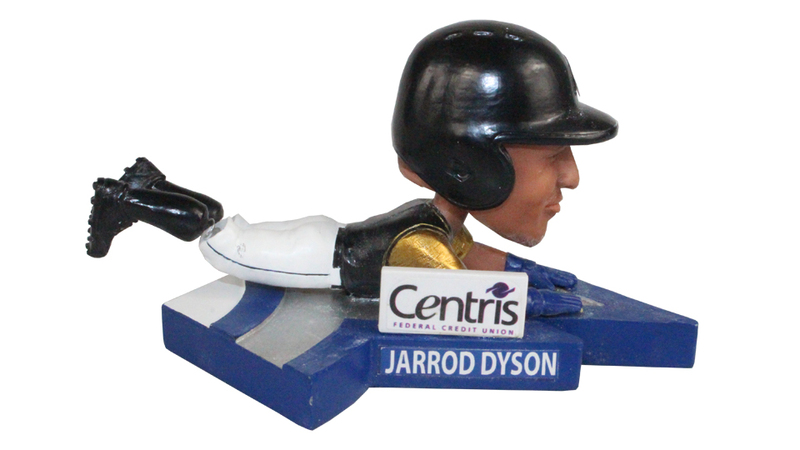 Jarrod Dyson will be the bobblehead giveaway for the 2011-Present decade, and will be given out to the first 2,000 fans on Saturday, April 21. The fleet-footed outfielder showed “that’s what speed do” when he played with the Omaha franchise during parts of five seasons, including the 2010-13 campaigns, in addition to a Major League Rehab stint in 2016. He was a part of two Pacific Coast League Championship teams in 2011 and 2013, with the latter group also going on to win the Triple-A National Championship. In 166 total games with Omaha he hit .273 (178-651), adding 129 runs, 25 doubles, seven triples, four homers and 52 RBI, along with 67 steals in 73 attempts. Dyson was also one of 16 former Storm Chasers players who won the 2015 World Series with the Kansas City Royals. 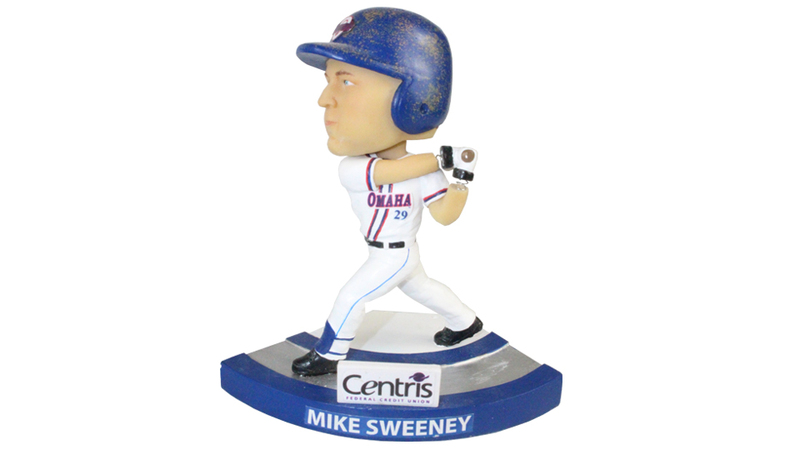 Infielder Mike Sweeney will represent the organization’s 2000-10 decade, with the first 2,000 fans receiving the bobblehead giveaway on Saturday, May 5. The fan-favorite played in 81 games with the Omaha Royals during the 1996-97 seasons, as well as from 2002-03 and 2006-07, batting .246 (74-301) with 45 runs, 22 doubles, one triple, 16 homers and 55 RBI. Over the course of his 16-year Major League career, including 13 seasons in Kansas City, Sweeney posted a .297 average (1540-5188) along with 759 runs, 325 doubles, five triples, 215 homers and 909 RBI. Sweeney was also elected to five American League All-Star clubs, including four consecutive years between 2000-03, and was inducted into the Royals Hall of Fame in 2015. 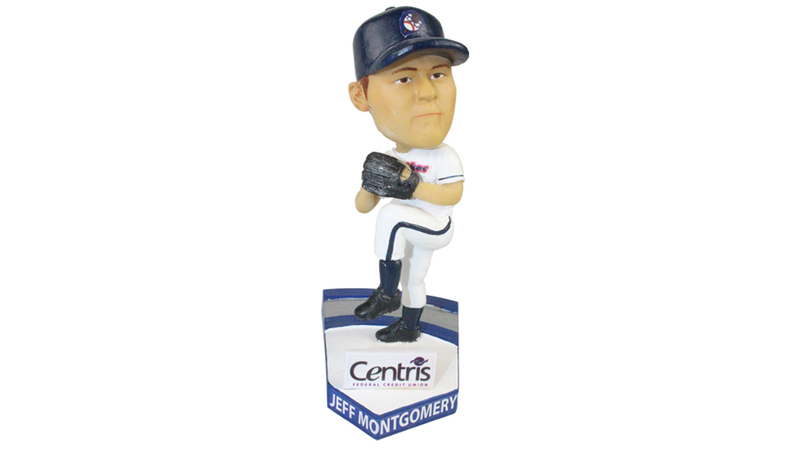 Relief pitcher Jeff Montgomery will embody the 1990-99 decade in Omaha history, and be available to the first 2,000 fans to enter Werner Park on Saturday, June 9. The right-hander appeared in a combined 23 games with the Omaha Royals and Omaha Golden Spikes during parts of the 1988, 1997 and 1999 campaigns, recording a 1-2 mark and 1.53 ERA (6 ER/35.1 IP) along with 14 saves. A 13-year Major League veteran, Montgomery played all but one of those campaigns with Kansas City, compiling a 46-52 record and 3.27 ERA (316 ER/868.2 IP) along with 304 saves and 733 strikeouts. The Royals Hall of Famer earned American League All-Star honors three times, and received the Rolaids Relief Man Award following the 1993 season. He was inducted into the Royals Hall of Fame in 2003. 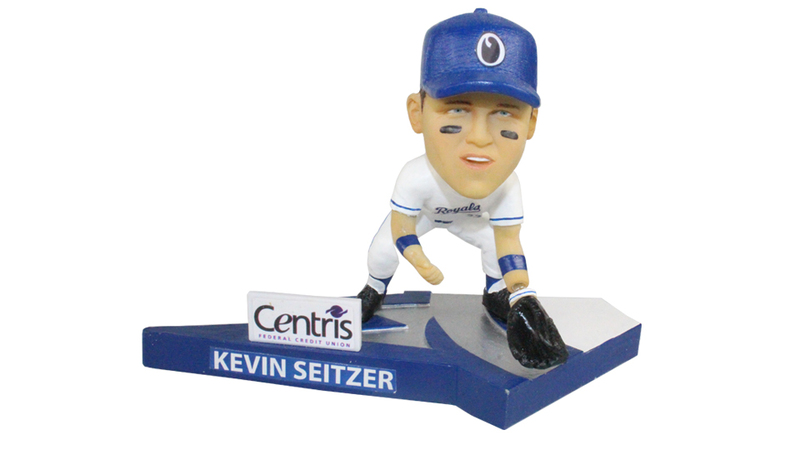 Infielder Kevin Seitzer will represent the 1980-89 decade of the Omaha franchise, with his bobblehead given away to the first 2,000 fans to enter Werner Park on Saturday, July 14. Seitzer was a member of the 1986 Omaha Royals, accumulating a .319 average (138-432) with 86 runs, 20 doubles, 11 triples, 13 homers and 74 RBI, along with 20 steals. For his efforts he was named an American Association Postseason All-Star following that season. Over his 12-year Major League career, Seitzer posted a .295 average (1557-5278) in 1,439 games, adding 739 runs, 285 doubles, 35 triples, 74 homers and 613 RBI. Seitzer played his first six seasons with the Kansas City Royals, which included an American League All-Star nod in 1987, in addition to a runner-up finish for the American League’s Rookie of the Year Award that year. Relief pitcher Dan Quisenberry rounds out the group of five bobbleheads and will represent the 1969-79 era of the franchise’s history. 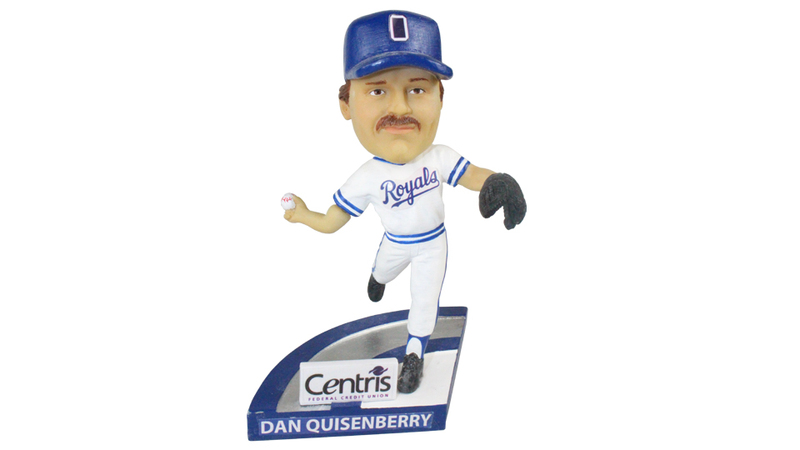 Quisenberry’s bobblehead will be given out to the first 2,000 fans to enter Werner Park on Saturday, August 25. The right-hander was a member of the 1979 Omaha Royals club, compiling a 2-1 record and 3.60 ERA (14 ER/35.0 IP) with five saves in 26 appearances. Inducted in the Royals Hall of Fame in 1998, Quisenberry played ten of his 12 Major League seasons with Kansas City, accumulating a 51-44 mark and 2.55 ERA (261 ER/920.1 IP) with 238 saves in 573 career appearances with the Royals. Quisenberry was a three-time American League All-Star, finishing in the top three for American League Cy Young voting in four consecutive seasons from 1982-85. 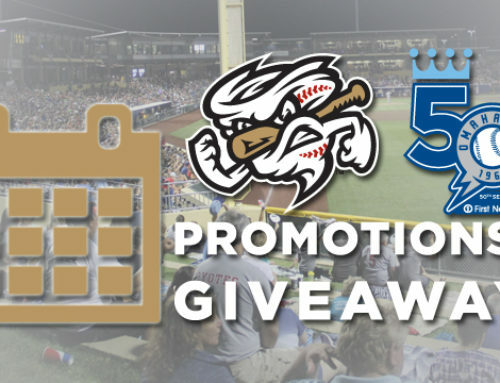 In addition to the five bobbleheads presented by Centris Federal Credit Union, Storm Chasers fans will also have the chance to receive other giveaways throughout the season, including a Rosenblatt Stadium Replica presented by Fairfield Inn & Suites Papillion (June 23) and Mystery Baseball Giveaway (May 26). The Bobblehead Head Plus II Plan includes tickets to seven giveaway nights, including all five bobblehead dates, and is currently available online by clicking here: http://bit.ly/2jgpSan. Please note planholders are not guaranteed a giveaway for those respective nights and will still be required to line up prior to gates opening. Gates open 65 minutes prior to the scheduled start time for that day’s game unless otherwise stated. 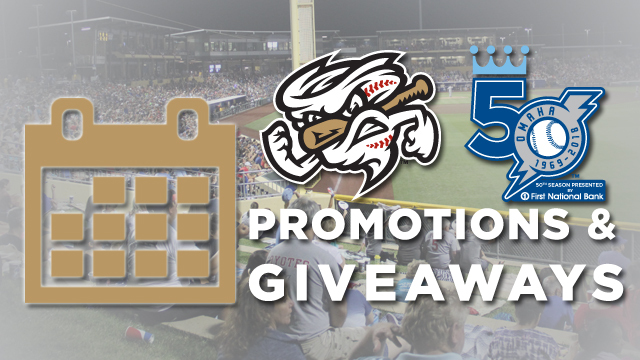 The entire list of promotions for the 50th Season in Franchise History presented by First National Bank will be released in the near future. The Omaha Storm Chasers are the Triple-A Affiliate of the Kansas City Royals. The Storm Chasers play at Werner Park in Papillion, Sarpy County, Nebraska. 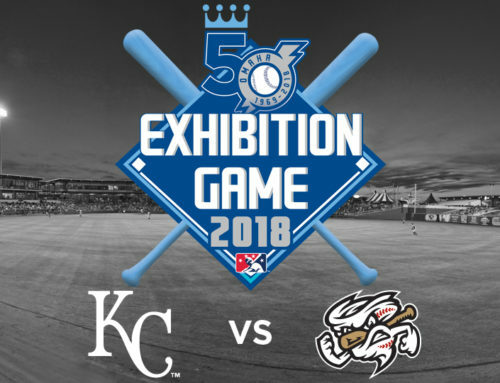 For more information please visit omahastormchasers.com and follow us on Twitter @omastormchasers and at facebook.com/omahastormchasers.